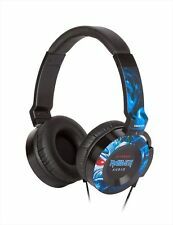 Headphones co-developed with Steve Harris, which is also the co-producer is also the founder and bassist of IRON MAIDEN. IRON MAIDEN In the latest album "The Book of Souls" of, Steve Harris and made mixing using the present model. Trending at $89.77eBay determines this price through a machine learned model of the product's sale prices within the last 90 days. Here is a rare opportunity to own aNew (Never Used) & 100% Authentic Onkyo E200M In-ear Headphones with Microphone. Onkyo E700M E700MB Hi-Resolution Headphones. Earphones & Headphones. Grado iGrado On-ear Neckband Headphones. ・ Deep bass playback even in size saving. Trending at $33.02eBay determines this price through a machine learned model of the product's sale prices within the last 90 days. Model : PHON3S. All my products are 100% Authentic ! - to Australia (about 2-6 weeks). - to Southeast Asia (about 2-4 weeks). ● Complete full wireless inner ear headphone that adopts Bluetooth function and does not use any cable. 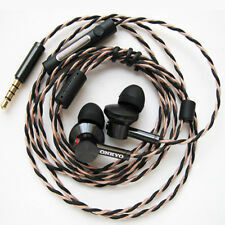 - By adopting 8.6 mm high power driver, it reproduces powerful bass and clear high region natural. Artist yourself the tuning of the particular design. Titanium in the drivers. Based in Osaka, Japan. New arrival. Normally, It takes about 1-3 weeks. Moreover, continuous communication of maximum 16 hours is possible with a large capacity battery. Even if the battery runs out, it can be used as a regular headphone with the included cable. Equipped with Bluetooth function, it also supports high quality codec aptX and AAC. Type: Headphone for outdoor with microphone. Model: Sealed type. Body weight: 179 g. Color: Black. Code Type: Single Cut. Cable type: Twisted cable (detachable type). - from the end of December to the beginning of January (around Dec 28 to Jan 6). ONKYO MAIDEN AUDIO AUTHENTIC "ED-PH0N3S"
Developed by Steve Harris, founder & co-producer of iron maiden, and Onkyo engineers. Like NEW Iron Maiden, limited edition Headphones! Only wore them to try on when I acquired them in a musical trade. Frequency Response 7Hz～40kHz Impedance 16Ω. Plug Mini plug Weight 179g. Upports High Resolution Audio. Closed acoustic architecture with custom designed Φ40mm high power driver. Works great. Check pictures for details. Soft parts faded. ONKYO earphone IE-S100 W White Canal type ear hanging type sport waterp Japan. The plug type in Japan is type A. Also, I cannot provide individual support due to different electric powers across countries and areas. Item Image. If a conversion adapter can handle the electric power, all you need to do to use the product in your country is to change the plug to type A.
ONKYO E200M Inner-ear canal Semi Open type earphone. 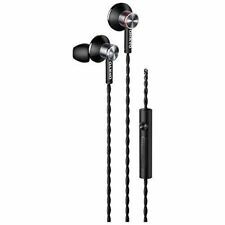 Its compact and ergonomic in-ear design makes it easy to take with you for long listening comfort everywhere. The Onkyo sound signature is clean, clear and precise. 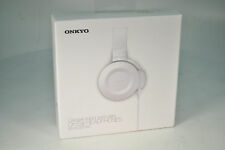 ONKYO ES-FC300V On-Ear headphone Violet NEW OPEN BOX! Now you can take that component quality sound everywhere with a pair of our ES FC300 On Ear Headphones. 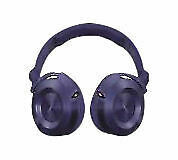 Onkyo ES-FC300(V) On-Ear Headphones, Violet. An adjustable padded headband and leatherette ear pads make extended listening sessions comfortable. •Pure Precision - The Onkyo sound signature is clean, clear and precise. The E200’s 8.6mm high power driver is tuned to give you clear, detailed and natural sound. To maintain audio purity, the headphone housing has been built to eliminate unwanted vibrations. 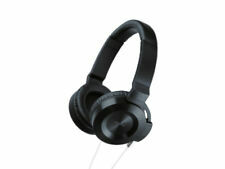 Characteristics Onkyo E700BT black headphones. Country of Origin -China. USB charging cable. The number of pairs of interchangeable ear cushions included -3. neck string, replaceable ear cushions. Special features. Sealed type aluminum cap can also block external sounds while preventing resonance of the body and enjoy the details of the sound. Ear pad developed with ergonomics that enhances comfortable wearability and sound tightness. ONKYO MAIDEN AUDIO ED-PH0N3S Japan new. Full Wireless Earphone W800BT. Wireless compatible Bluetooth. Even in the crowds of train and station, such as commuting to school, you can enjoy music without stress while troubling cables. 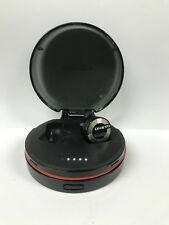 ■ONKYO W800BT Black Bluetooth Earphone Full Wireless■. ・Wireless compatible Bluetooth. ・Mid range balanced with rich bass and clear high range. ・Shape dynamic. ・Color Black. ・Eliminate cables connecting left and right earpieces. 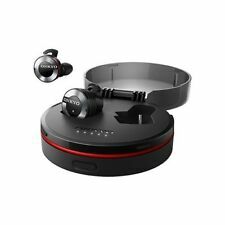 ONKYO E200M E200MB Inner-ear Black - NEW. Interface : Bluetooth. Supported Bluetooth Profile : A2DP/AVRCP/HSP/HFP. Supported Bluetooth Audio Codec : SBC. We will pursue the best service! Condition: New. Your pleasure will be our pleasure. "Green juice" evaluation of by the sound valuation date 2,016.6 twisted cable for the experienced eye-catching design. Pursuit of "as is the sound of", adopted a high resolution corresponding model ◆ premium 13.5mm strong magnetic force rare earth magnet equipped with driver and oval-shaped nozzle of premium quality to reproduce a more delicate sound ◆ sound by tuning and testing "green juice" evaluation valuation date 2,016.6 twisted cable for the experienced eye-catching design of.